A Monsanto facility in Jerseyville, Illinois. By the time Illinois farmers started filing formal complaints of herbicide damage to their soybeans this year with the Illinois Department of Agriculture, state officials were already receiving advice from the makers of the herbicides, according to a review of department emails. The emails – contained in more than 60 pages of documents obtained via the Freedom of Information Act – show the companies often suggested how to deal with the complaints, sometimes without any solicitation from department officials. The emails covered the time period from January through September 2017. 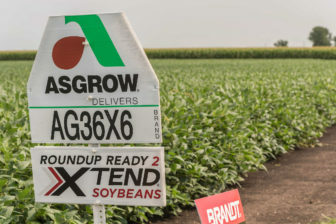 Monsanto, a St. Louis-based agriculture company, created soybean seeds that were resistant to dicamba in response to “super weeds” that started developing resistance to other herbicides. Monsanto and German company BASF also make versions of dicamba that can be used on the soybeans. Leading up to the 2017 growing season, the emails show that agriculture department officials had meetings and discussions with pesticide applicators, scientists and Monsanto officials, but took no regulatory action, even amid warnings and reports about damage. However, as hundreds of thousands of acres of non-dicamba-resistant soybean fields in Illinois experienced damage, the correspondence also shows Monsanto lobbyists and agriculture officials stayed in touch on the rising number of damage complaints. For example, on July 17, Monsanto reached out to Illinois Department of Agriculture Director Raymond Poe to discuss dicamba damage, just four days after Tennessee became the third state to heavily restrict the use of dicamba after widespread damage. In another example, Jeff Williams, a Monsanto lobbyist, wrote to Warren Goetsch, deputy director of the Illinois Department of Agriculture, to check in on the number of complaints frequently. “Do we have a new number of complaints? Maybe they’ve gone down:)??? Thanks my man… Jeff,” Williams wrote in a July 24 email. The agriculture department also frequently sent maps of complaints to Monsanto. A map sent on July 31 showed that Wayne County in southern Illinois had the most complaints. The correspondence also shows Monsanto’s attempt to attribute the problems to their competitors’ herbicides, older generic brands of dicamba and to applicators’ errors. 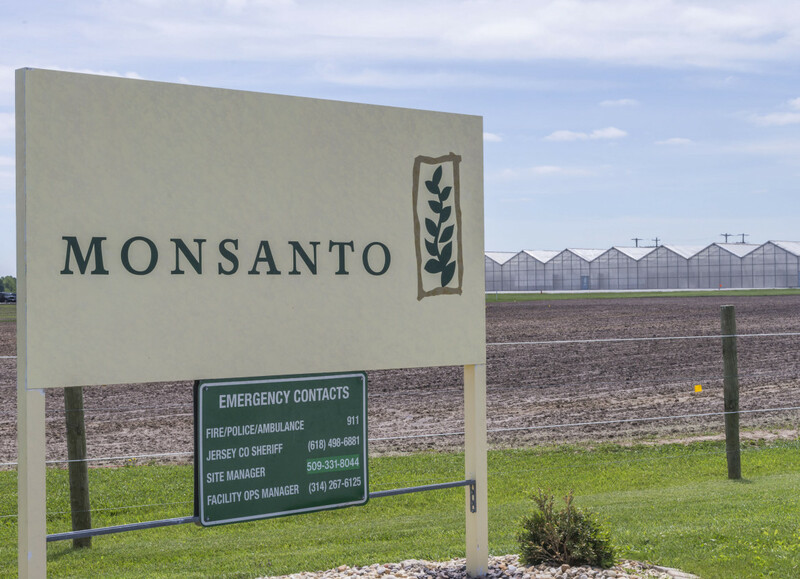 As early as March, Monsanto lobbyists met with Goetsch to discuss the rollout of the company’s version of the herbicide dicamba and issues that could arise. An agriculture department spokeswoman said the correspondence was entirely appropriate. “The Department strives to have open communication with any and all stakeholders whenever circumstances warrant. Department staff occasionally meet with all types of interest groups throughout the year,” said Morgan Booth, a spokeswoman for the Illinois Department of Agriculture. Monsanto corresponded with Illinois agriculture officials much more frequently than BASF, which also makes a version of dicamba. BASF officials did not speak at any departmental meetings, but BASF did send two written bulletins to Goetsch on how to investigate the damage. On June 15, Janet Hou, state registration manager for BASF, wrote Goetsch with advice on how to investigate “off-target complaints.” Off-target complaints refers to an herbicide drifting away from its intended crop to a neighboring crop and causes damage. “With the application season on us, I wanted to share with you a tech bulletin we recently developed and are using in the field ‘Understanding Soybean Response to Dicamba’,” Hou wrote. At the time, Illinois had received just one off-target complaint about dicamba damage, while other states, including Arkansas and Missouri, were receiving dozens. Monsanto and BASF released new versions of dicamba that were approved by the U.S. Environmental Protection Agency in November 2016. Farmers used both the new soybeans and accompanying herbicides, and experts estimate that more than 3 million acres of non-dicamba resistant soybean fields were damaged from dicamba drifting onto those fields. Dicamba is an older herbicide that has traditionally been used on corn production, but damages soybeans and other plants. This year, the damage, which ranged from stunted leaves to killing the plants, came not only from drift but also from temperature inversions, according to experts and a survey of applicators. Monsanto and BASF attributed much of the damage to misuse of the herbicide by applicators and older generic versions of dicamba; however, a survey of Illinois applicators and experts said that it was difficult to follow the 4,500 word-label for the new herbicides. The EPA issued new restrictions for 2018, and Arkansas, Minnesota, Missouri, North Dakota and Tennessee added restrictions. Booth said Illinois does not plan to take any steps to restrict the usage of dicamba in 2018 and will rely on the U.S. EPA restrictions. Iowa agriculture officials have also not restricted use. Illinois’ 600,000 acres of damage was the second-most from dicamba in terms of acreage. Iowa had 150,000 acres damaged. Under the Illinois State Officials and Employees Ethics Act, state employees must make a record of any “ex parte communication,” which is communication from a person who is making an argument about potential regulatory action by the agency. Booth said that the communications did not fall under the act. “Under Illinois law, since no specific proposed rule changes existed and no notice was published, no ex parte communications were communicated to the Illinois Department of Agriculture,” Booth said. When reached for comment in October on the email threads, Monsanto requested more time to comment and did not respond to further, repeated requests for comment. In December, Monsanto spokeswoman Charla Lord said Monsanto would no longer comment to the Midwest Center because it was unhappy with the Center’s coverage. 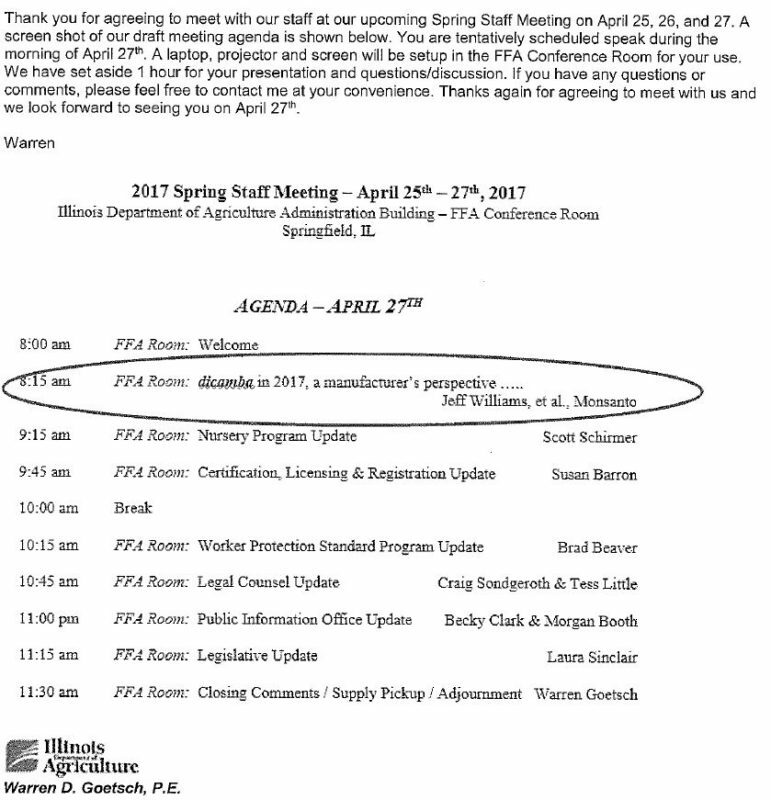 On June 28, the emails show, Goetsch expressed little concern about drift, but Jeff Williams, Monsanto’s Midwest Community Affairs Manager who had spoken at the April staff meeting, asked if Illinois needed any help or information. “Everything seems to be going as usual,” Goetsch wrote to Williams. Goetsch said they had only received one complaint about dicamba so far. The next day, BASF’s Hou sent another memo to Goetsch on how to recognize temperature inversions, a natural phenomenon that increased drift and was behind much of the damage. The next correspondence was on July 17, when Monsanto’s Williams reached out to Raymond Poe, director of the Illinois agriculture department, to ask if he had time to talk to Robb Fraley, the Chief Technology Officer to discuss increasing complaints. Poe, Goetsch and Fraley spoke on July 20, according to an email exchange. By July 19, Illinois had received 83 alleged dicamba complaints, according to the emails. Following the July 20 call, Duane Simpson, U.S. state and local government affairs lead for Monsanto, sent letters to Poe on July 21 and 22 explaining that internal Monsanto research had found that other products on the market contained detectable levels of dicamba, and the issues could be caused by those products. “In some cases, growers have observed patterns of leaf cupping symptomology that are inconsistent with dicamba drift or volatility, and suggestive of direct applications,” Simpson wrote. According to the letter, the brands with dicamba included the herbicides Interline, Surmise and Cheetah. Monsanto also tested the brands Liberty, Willowood Glufosinate 280 and Kong and found no detectable levels of dicamba, Simpson said. These brands all contain glufosinate, which is the herbicide of Bayer’s brand of Liberty Link soybeans, which are Monsanto’s main competitor in the soybean seed market. Bayer has to sell the Liberty Link soybean brand to BASF as a condition of Bayer’s proposed takeover of Monsanto. By August 31, the department received 369 complaints about pesticide misuse, with 239 complaints related directly to dicamba, records show. This was the highest number of complaints since 1989, email records show. Editor's note: Monsanto spokeswoman Charla Lord has disputed that Monsanto will not respond to the Midwest Center because the company is unhappy with the Midwest Center's coverage. She said that Monsanto would no longer respond to the Midwest Center because "we have not found your outlet abiding by the fundamentals of journalism ethics."